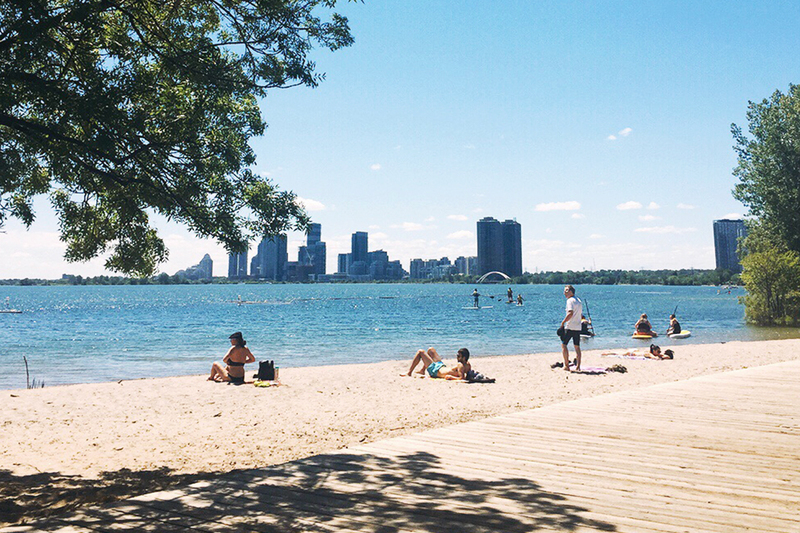 Summer in Toronto can be hot and humid, but with a variety of beaches right around the downtown core, there’s no need to travel far to dig your toes in the sand and soak up the sun. Whether you’re looking to enjoy a picnic, lounge on the sand or stay active with a few beachy sports, make the most out of the short summer season at these six beautiful beaches. The laid-back and popular east-end neighbourhood of the Beaches (or the Beach, as some people call it) is home to two great spots offering uninterrupted sandy shorelines: Woodbine Beach and Kew-Balmy Beach. Here you’ll find the perfect place to enjoy a picnic, play a game of beach volleyball, stroll the boardwalk, swim or take in some spectacular city views from the east. 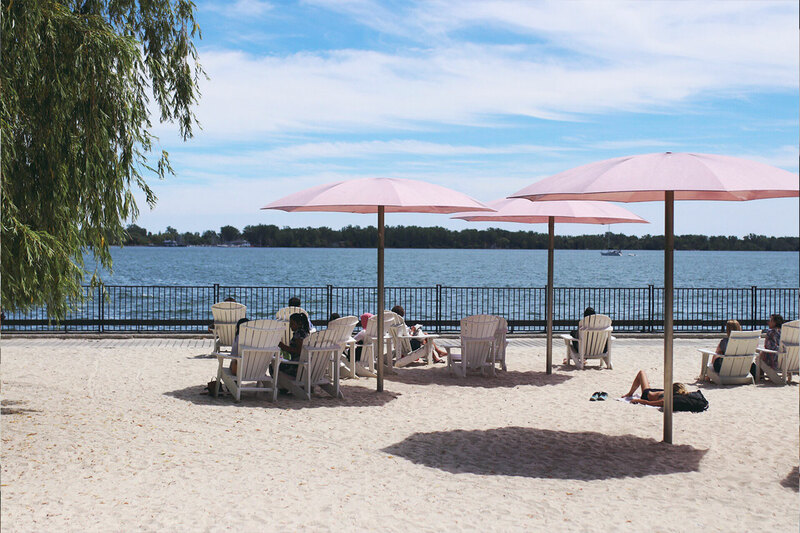 Known by its offbeat and whimsical pink umbrellas, Sugar Beach feels like an oasis in the middle of an industrial space. With the water lapping at the bottom of the seawall, this sweet (no pun intended) urban park makes for a great place to unwind and enjoy some fun in the sun right in the middle of the city. Even though you can’t actually swim at this urban beach, you can certainly relax and enjoy some downtime on the edge of Lake Ontario. 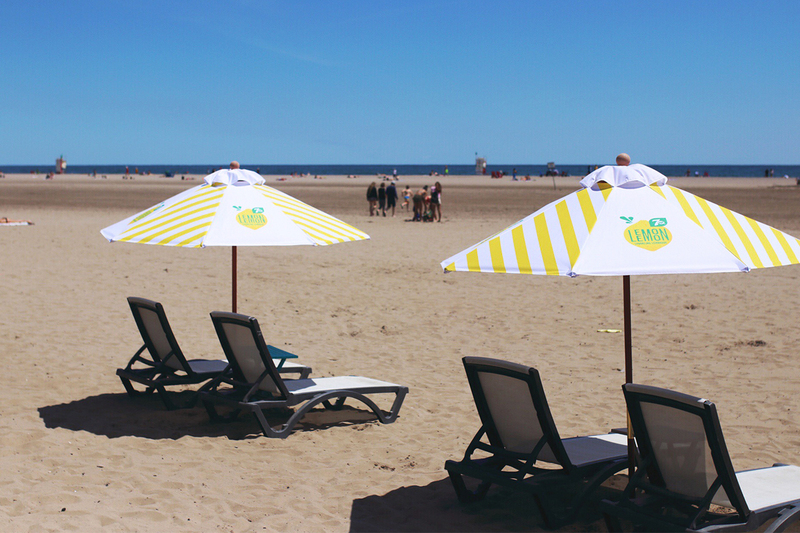 You’ll want to lounge under the yellow umbrellas on a Muskoka chair, lay on the sand, or sit on the grass while enjoying a refreshing treat. Whatever you prefer, you’ll get to enjoy scenic views of the Harbourfront and the city’s most distinctive landmarks. 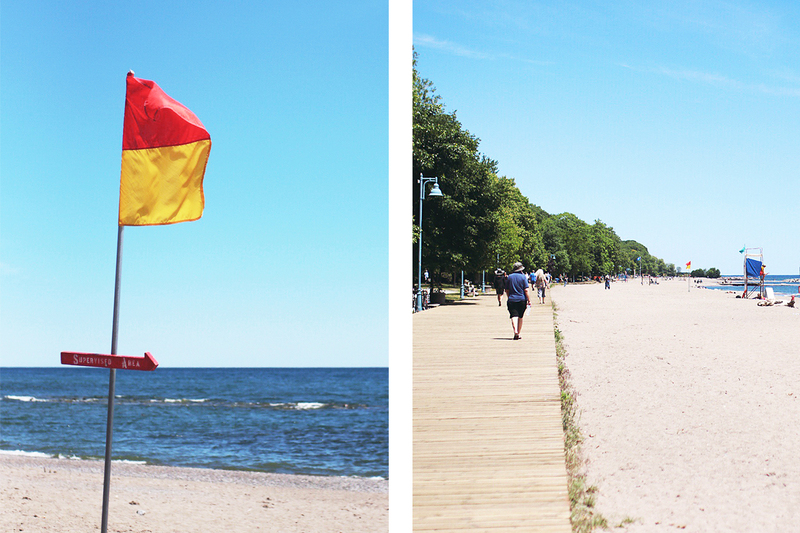 To the east of the Boulevard Club and right on the Martin Goodman Trail, Sunnyside Beach is a small but popular spot to cool off during hot summer days. With paddle board, canoe, and kayak rentals on-site, this beach is the perfect place to either unroll your towel and enjoy the waterfront views, or take part in the fun water activities available. 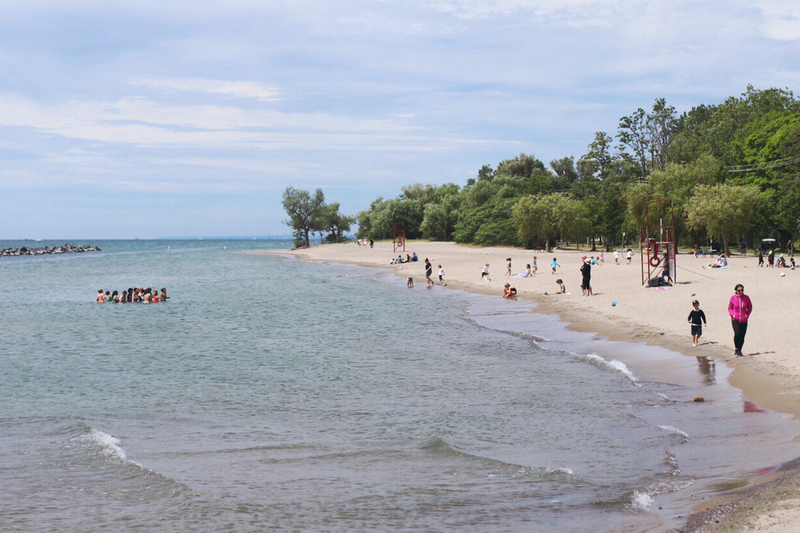 Considered to be one of the cleanest beaches in Toronto, Cherry Beach attracts many water sport enthusiasts who come to swim, windsurf and kiteboard. With a large lawn that’s perfect to host a group lunch and an off-leash dog area, this somewhat secluded strip in the Toronto Portlands is a perfect place to catch a few rays and relax. 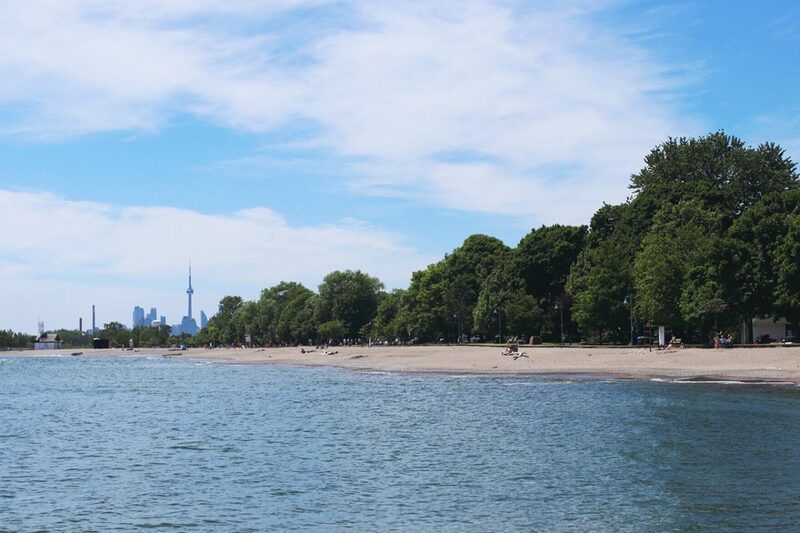 Just a 12-minute ferry ride from downtown Toronto, the city island is home to three great beaches: Centre Island Beach, Ward’s Island Beach and Hanlan’s Point Beach. 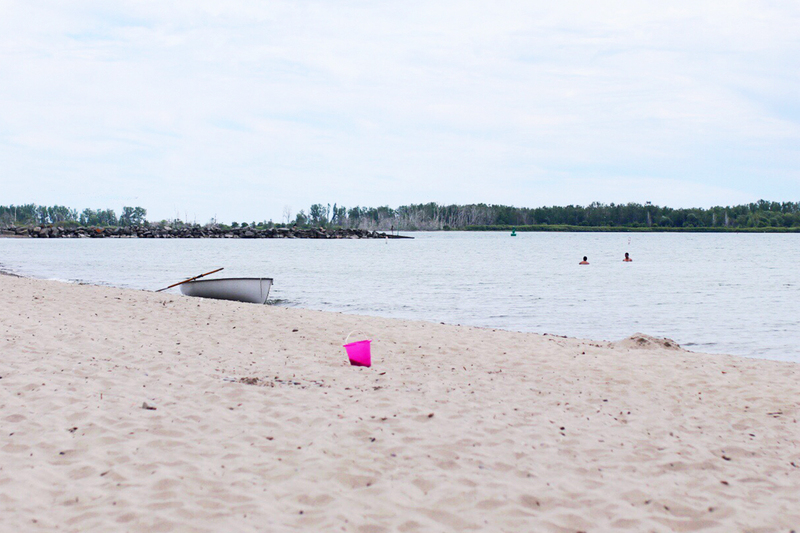 With a rock breakwater, the calm and shallow water of Centre Island Beach is perfect for families with small children. On the east side of the island, you’ll find the less crowded Ward’s Island Beach, a great spot just steps away from the ferry pier. 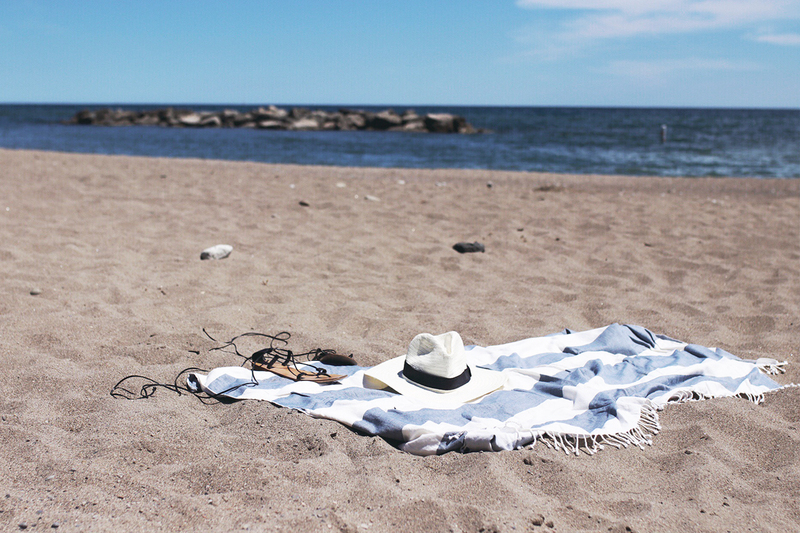 Go to the west and you’ll find the “clothing optional” Hanlan’s Point. This beach is ideal if you’re looking to get rid of unwanted tan lines.